Are you a homeschooling family that LOVES The Good & the Beautiful Curriculum?! We cannot recommend it enough! I created a fun way to practice and reinforce the spelling words we have been working through for our Kindergarten year. 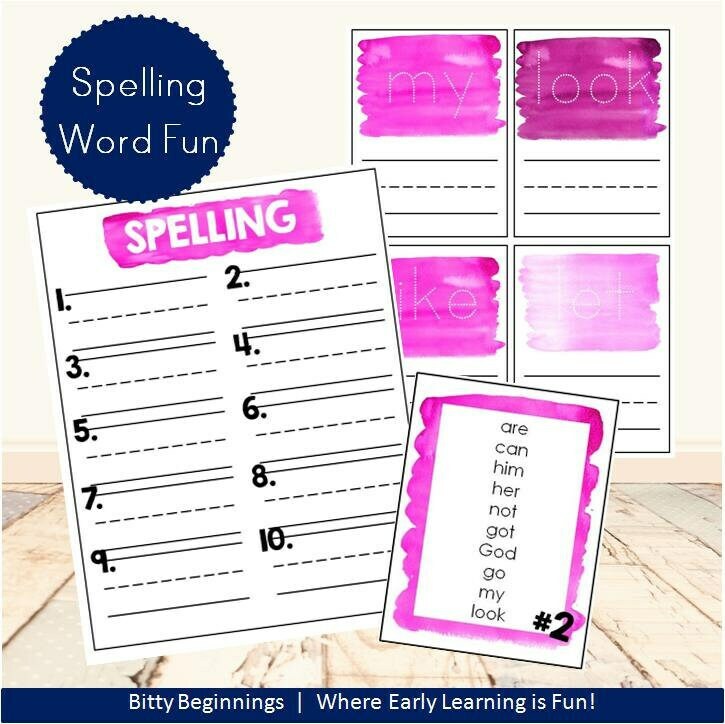 If you're looking for a fun way for your little one(s) to practice his or her spelling words, have the current list on hand and have a handy "test" sheet for spelling tests, we've got you covered with this set! Simply Print. Laminate. Cut out each flash card. Hole punch the upper left-hand corner and add to a book ring. Pair with a dry erase marker, & encourage your little one(s) to trace and write each spelling word currently learning.